Do I Need an Attorney If I Was Injured as a Spectator? Spectator injuries at sporting events probably don’t cross your mind when you’re going to enjoy a baseball or hockey game. Unfortunately, fans getting injured while watching their favorite games is a common occurrence. If you plan on attending a sporting event, it’s important to recognize the dangers you face. If you’ve already been injured, though, it may be time to look for a personal injury lawyer. Few people recognize how common spectator injuries at sporting events are. Fans have been able to enjoy baseball games since 1862, for instance, and there have been over 2,000 game-related fatalities since then. One study even found that 122 people sustained hockey puck injuries during a span of 127 National Hockey League (NHL) games. These types of injuries can occur in numerous ways. Foul balls, splintered bats and other flying debris are common at baseball games. Fans hurt at NHL games usually sustain their injuries from hockey pucks. It’s important to note, though, that a lack of protective structures and even fan violence cause numerous injuries. Auto races and golf events cause several spectator injuries throughout the year. When it comes to the most dangerous games, however, these two don’t hold a candle to baseball and hockey events. The atmosphere alone at these games can lead to fan violence. Additionally, these games involve high-speed objects by design. Baseballs can come off a bat at more than 100 mph. Hockey pucks commonly reach over 100 mph as well. These pucks are especially dangerous since, even though they’re made of rubber, they are frozen before every game so they don’t bounce. Personal Injury Lawyer for Spectator Injuries? Courts have commonly sided with organizations in cases of spectator injuries at sporting events. This tide, however, appears to be changing. In essence, courts want to see that a sporting organization was negligent in protecting its fans. This can include anything from a lack of protective barriers to failures in security resulting in physical attacks. It’s worth noting that not every case has to go through the courts. A young Ohio girl’s family, for instance, settled for $1.2 million after she died from a hockey puck accident in 2002. If injured by another spectator, you may be able to secure compensation from the sports organization and the reckless fan. The fact of the matter is that every spectator injury at sporting events is different. If you’ve been injured while enjoying a game, you need a personal injury lawyer that can help. 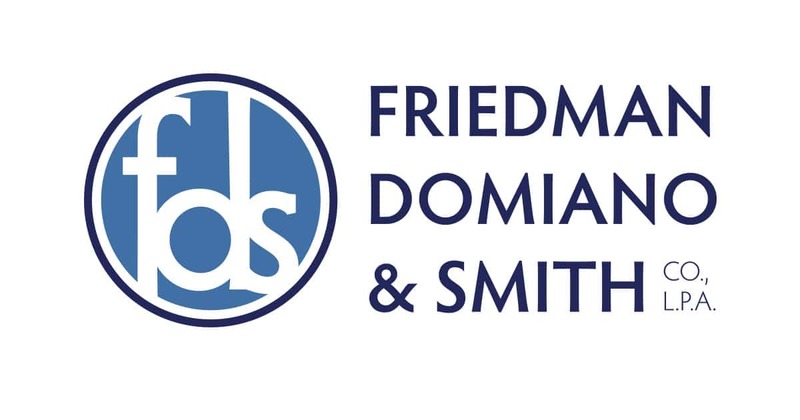 Contact us today at Friedman, Domiano & Smith for a free consultation related to your case.